Blog Mum bloggers, every parent's go-to guru! Mum bloggers, every parent’s go-to guru! With more and more parents taking to the internet for guidance and advice, it’s as if grandparents have been replaced by mum bloggers as one of the most trusted go-to sources of parental support in the world. Mummy bloggers and forums not only help the modern-day mom with helpful tips, product reviews, recipes and advice, they offer a sense of community and a channel for parents to feel normal and not alone in their parenting journey. There are many different mummy and parent blogs out there, new mums blogs, working mum blogs, blogs for big families, as well as dad blogs and even grandparent blogs! This form of journalism and commentary is important in our society as it provides parents with an easy and accessible support network as well as an entertaining and interesting collection of thoughts to read. 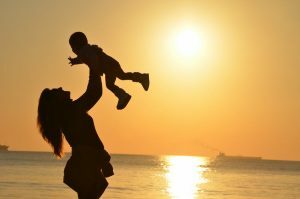 Mum blogs and forums are super because as a parent we are constantly questioning our parenting techniques and worrying if our feelings are normal, or if our children are normal! We google everything from cold symptoms to the latest potty training methods or healthy after school snacks. We would never dream of buying anything over £20 without reading a trusted review! That’s why here at BubbleBum Travel Car Booster Seat we are sharing our favourite mum bloggers with you 😊 I hope these brighten up your days as much as they have ours. Another favourite of ours is Five Little Doves, this beautiful blog is one of our absolute favourites. An honest look into a large families life, detailing the ups and downs, co parenting, love, loss, miscarriage and chronic illness. This amazing blog offers tips on crafts, baking, reviews, days out and much more there is something for every parent on this blog. Plutonium Sox is a fun and informational mum blog that includes product reviews, giveaways, fashion, cool places to visit and other interesting things from around the web. From a family with two cute little girls that love to travel this blog has a definite thumbs up from BubbleBum. Toby and Roo is a modern, millennial mum blog about fashion, dieting, general parenting. This mum is passionate about kids travel which is right up BubbleBums street and is an interesting read of modern mum topics and discussions. 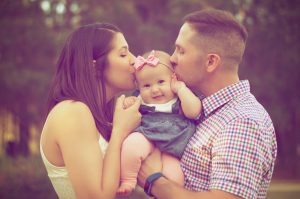 92three30 is a fun loving family blog that has super product reviews and giveaways as well as amazing recommendations about places to visit with the kids in the UK. This fun bright blog is targeted at parents of school age kids and is great for reviews about toys and even skin care. A Cornish Mum is another BubbleBum favourite and is an inspirational blog about parenting, diabetes, travel, home/diy, comps, reviews and everything else! there is something on this blog for everyone. It is honest and talks about everything important in a mothers life from garden makeovers to slimming world recipes. We also love What the Redhead said, Slummy single mummy and brummymummyof2! We would love to hear your favourites also, fell free to share and we will check them out! If you are based in the US you might like to take a look at some of our favourite US bloggers here.